HGST and Commvault are ready to launch a new cloud backup solution that delivers the best total cost of ownership of any product out there. Released earlier today, the HGST Active Archive System combined with Commvault's Simpana software brings a highly scalable backup solution that offers instant access and the lowest cost per TB of any cloud-scale data backup product. "In certifying our HGST Active Archive System with Commvault's Simpana software suite, customers have access to a highly affordable, simple-to-scale object storage system that beats the economics of traditional cloud infrastructures and provides enterprise-class backup," said Barbara Murphy, VP of Marketing, Cloud Infrastructure Business Unit, HGST. As an archive environment, the two are offering a solution that can grow to a multi-petabyte scale whilst retaining the incredibly low total cost of ownership and the ability to obtain instant access to your data at any time. 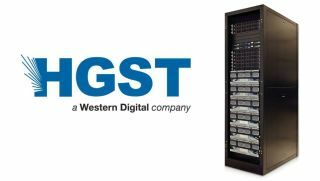 Object storage of the type offered by Western Digital-owned HGST is one of the biggest trends in the storage sector and is a way of guaranteeing low cost capacity. You can also combine object storage with flash to bring performance-optimised and capacity-optimised scale-out storage tiers. Both the HGST Active Archive System and Commvault Simpana software are available right now and can be obtained as a single product through HGST channel partners.